If not done already, install Spotipo on your sever by following tutorial available here. Make sure you have enabled ports 1812 and 1813 in your firewall for UDP traffic. 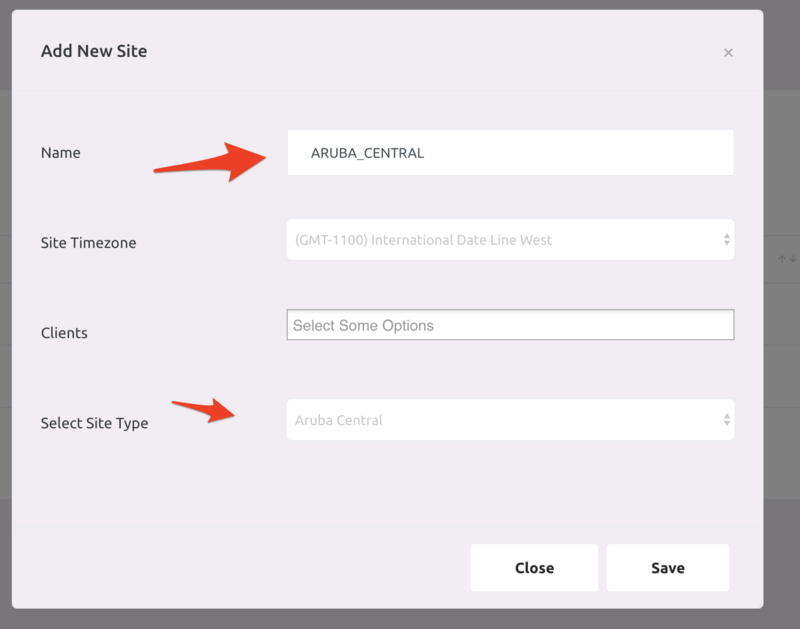 After adding the client add a new site by clicking on the Add New Site button in the drop down menu on top right. Now proceed with site activation and license subscription. In the newly created site, navigate to Networks tab and create a New Network. 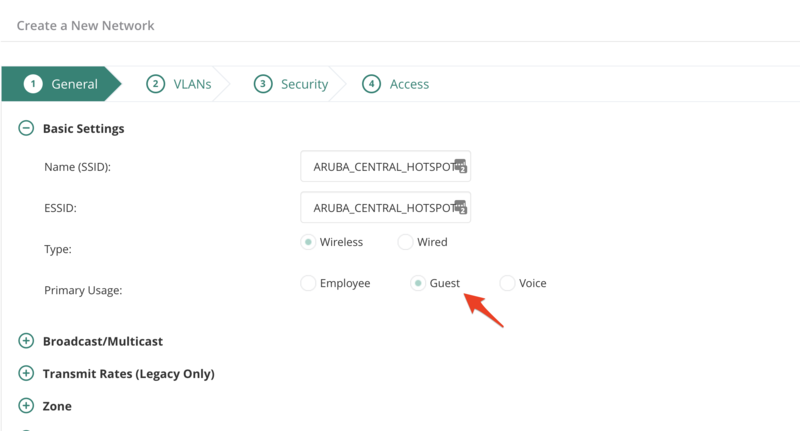 Provide a name to identify the captive portal profile. 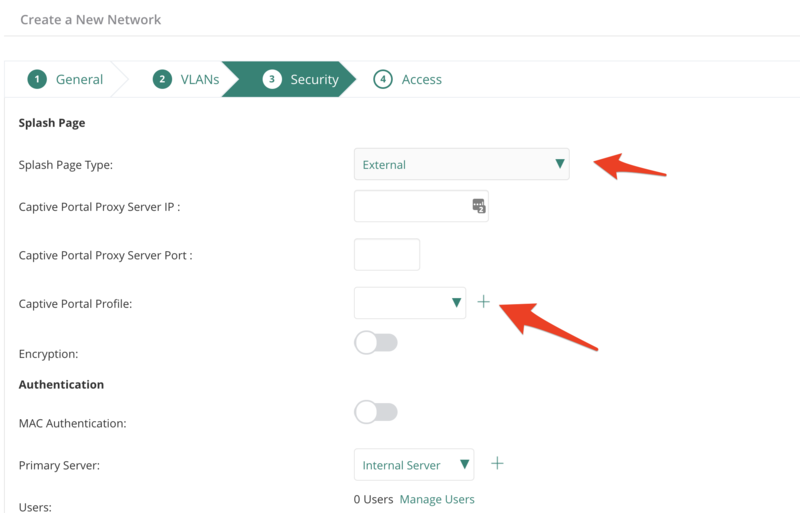 Also configure the hostname of your spotipo server and the URL generated in previous step. 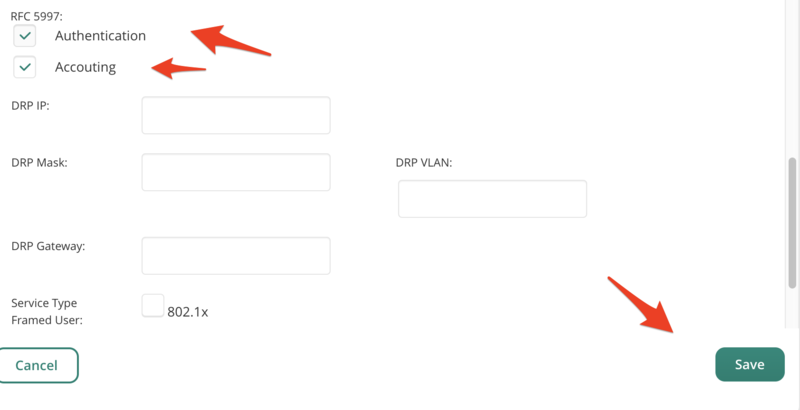 Also check the box to include VC IP in redirect URL. Provide the details of your spotipo server. 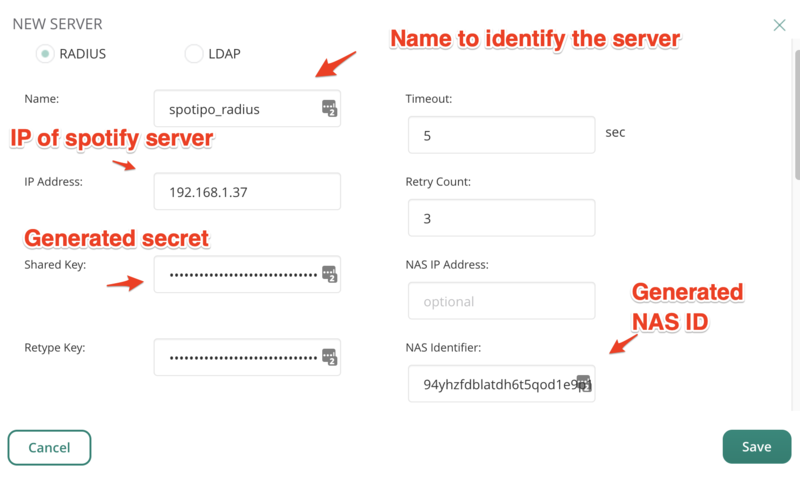 Also fill in the NAS ID and Radius Secret generated in last step. 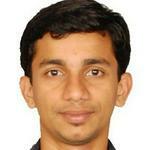 Enable accounting to same servers with accounting interval as 1 min. 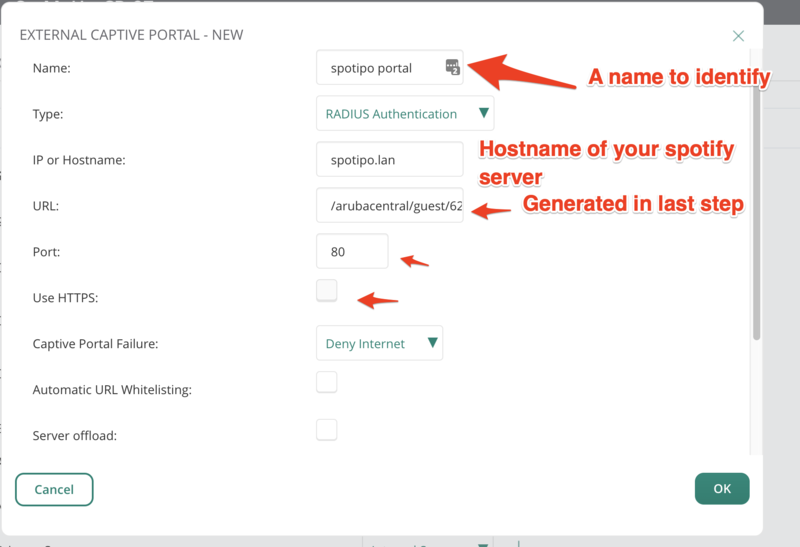 Add hostname of your Spotipo server into walled garden. Click Next and Save the configuration. Wait for a few minutes and then connect to the SSID you have just created to test it out.